There's nothing quite like relaxing around the table with your girls and a tub of Hama Beads for company and last night I excelled myself (honestly I did) when I made a set of Hama Beads Pac Man Ghosts. 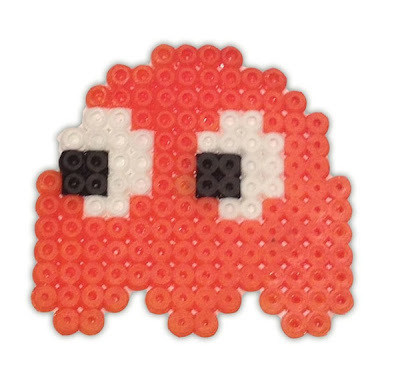 On reflection, 16-bit animation characters are just perfect for Hama Beads creations and I'll quite probably have worked my way through most of my favourite old school classics before the holiday is over. So be prepared. Want to make your own Pac Man Hama Beads Ghosts? Here's How! 1. 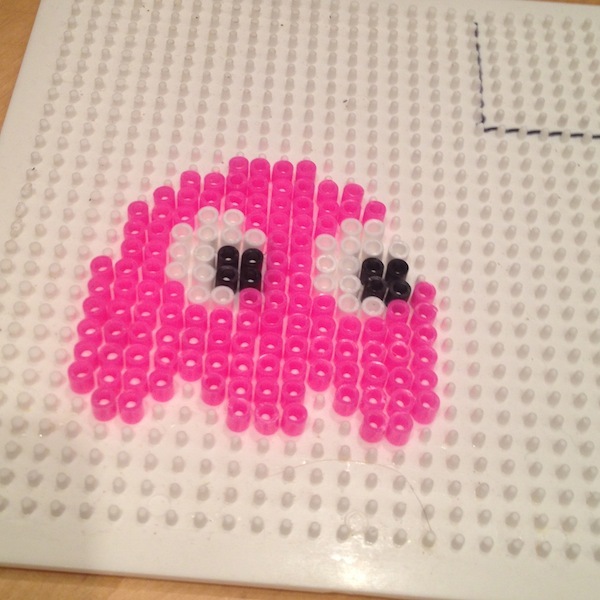 Start with a standard square peg board and create the outline of your ghost. 2. Add in the eyes. 3. Fill in the background. 4. Iron and leave to cool. That's it. Simple! Once I'd worked the pattern out I made three ghosts in around 15 minutes (and with the help on the kitten who really wanted to join in). 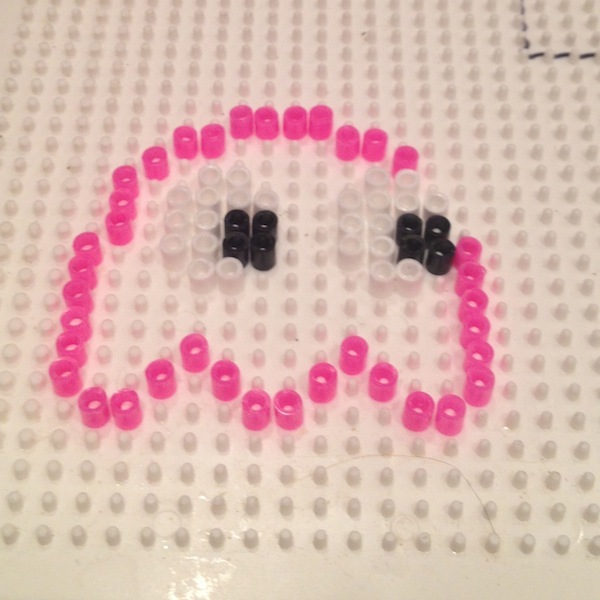 We buy our Hama Beads from CrafyMerrily.co.uk. They always have a great selection of kits and tutorials available. If you enjoyed this post you might like, How to Make a Hama Beads Bowl and Hama Beads Jewellery Kit reviewed.